That’s the title of the first chapter of Freakonomics by Steven Levitt and Stephen Dubner, a book that I often cite as my introduction to how the world really works. Before reading it, I thought that I had that covered. I was a doctor, after all! I had spent years of study and hard work to become one. Surely I didn’t arrive at that point in my life without having a good understanding of the greater world around me, right? The first example cited in Freakonomics introduced the idea that seemingly obvious solutions can worsen problems instead of solving them. They presented a scenario in which you imagine that you are the manager of a day-care center. There is a policy that children are to be picked up by 4pm. Unfortunately, parents are sometimes late. This results in anxious children waiting for their parents, and at least one teacher who must stay beyond his/her work hours to wait for the late parents to arrive. How could this problem be solved? The obvious answer is to fine the parents who are late a small fee. If we introduce a negative consequence for an undesired behavior, the behavior should stop. This seems like an easy fix. But actually, it’s not. When this solution was tested at day-care centers, the number of late pickups actually went up dramatically after the fines for tardy parents were introduced. It turns out that the moral incentive/consequence of parents being late in picking up their children (and having the daycare staff be upset with them) was the primary motivator for their promptness. They weren’t always on time, of course, but they would try to not be late. Once that moral incentive (to avoid the guilt of being late) was substituted for an economic one (the small and tolerable fine), there was little reason for the parents to interrupt their afternoon activities and make special effort to pick up their children on time. So instead of solving the problem, the proposed solution backfired and made the problem worse! Subsequent examples explored similar subjects and problems with deceptively simple solutions that, when applied, either backfired or lead to other unintended consequences and serious issues. They discuss the high-stakes standardized testing that President Bush’s 2002 No Child Left Behind law brought about and how instead of improving education, it actually provided teachers with a perverse incentive to cheat and inflate their students’ exam scores. If the idea that teachers would cheat and inflate their students’ exam scores makes no sense to you, you really need to read Freakonomics to understand why. 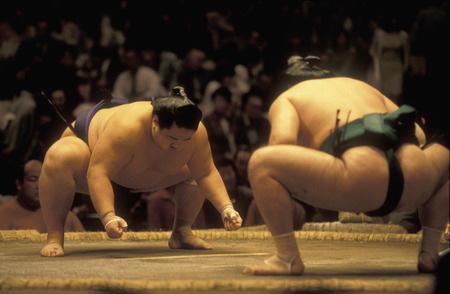 The authors then move on to the culture of sports in general and Sumo wrestling in particular, where they discuss how sumo wrestlers are ranked and the forces (outside of athletic skill) that influence who will win a match. Namely, why historically wrestlers with a 7-7 record are 50% more likely to win a match versus a wrestler with a 7-7 record — but a 7-7 wrestler has an almost 80% chance of beating a wrestler with an 8-6 record. And a 7-7 wrestler historically wins matches versus a 9-5 wrestler at a 73% rate. The reasons for this phenomenon are too numerous to detail here but are similarly enlightening. Freakonomics showed me how misaligned incentives within solutions can undermine them. I now view simple and obvious answers with suspicion. At first I thought that I had become unjustifiably cynical, but the more I evaluate the reasons why poorly thought-out solutions fail, I believe that my cynicism is entirely justified. The medical field, unfortunately, is not immune to these issues; issues that I plan to discuss in future posts here.